Do you watch RighthisMinute TV Show regularly? Then here is fabulous news for all of you. 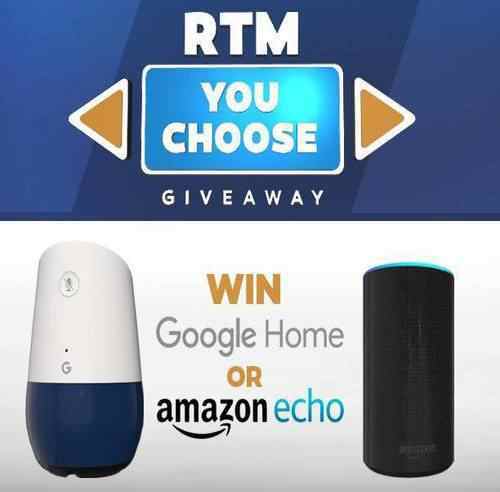 RightThisMinute has come up with RightThisMinute You Choose Sweepstakes in which they are giving you a chance to win Google Home or Amazon echo every day. From 23rd April 2018 to 24th May 2018, Each Weekday 1 Buzzword will be aired during RightThisMinute Television Show which you need to enter at rightthisminute.com/win to Participate in Right this Minute You Choose Sweepstakes. How to Enter Right this Minute You Choose Giveaway? Watch RightThisMinute TV Show every Weekday to get Buzzword for Participating this Sweepstakes. Enter the Buzzword and other required details. 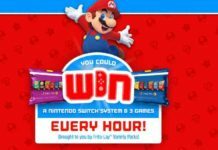 You can Enter this Sweepstakes Daily. Each Weekday, Entries starts at 5:00 AM (PT) and ends at 6:59 AM (PT). 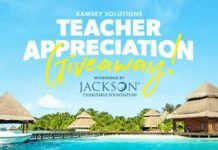 One Winner will be chosen randomly daily during Sweepstakes Period. Excited to know who are those lucky people who have won this Sweepstakes? 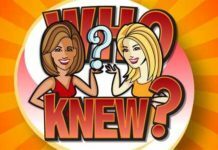 You can obtain RightThisSweepstakes You Choose Contest Winner List by Sending a self-addressed, stamped envelope to: RightThisMinute Winners List, May 2018 You Choose Giveaway, 9633 S 48th Street, Suite 185, Phoenix, AZ 85044 to be received by June 15, 2018.